Authentic elegance can come out as a results of the dressing trend with this exceptional turquoise green colored floor length anarkali suit. 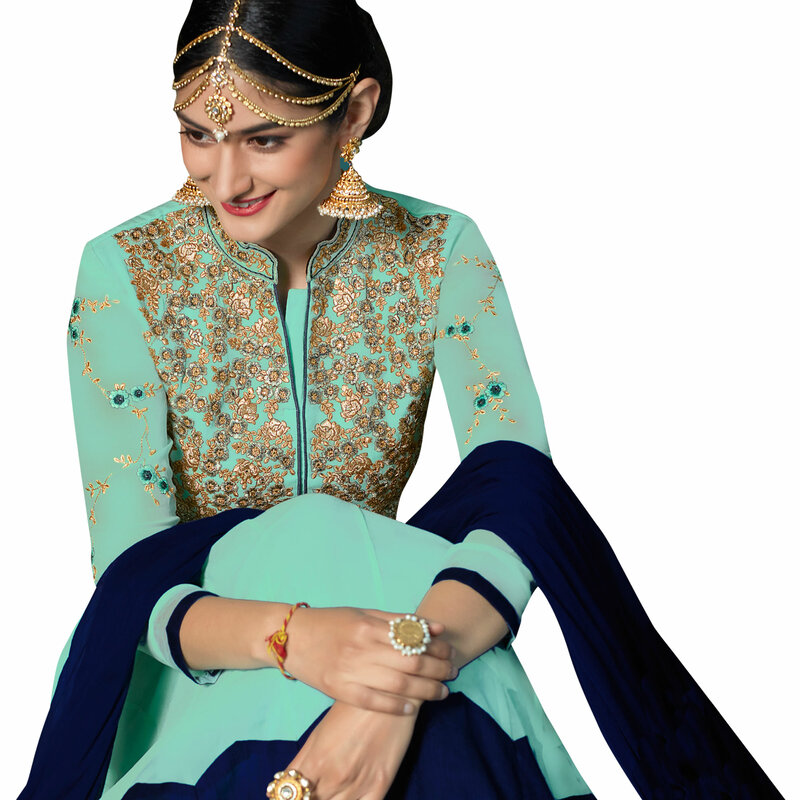 This beautiful designer suit is prettified with embroidered which makes it appear classy. This suit is made of georgette fabric available with matching santoon fabric bottom and inner along with chiffon dupatta. Women can buy this ethnic dress to wear for their upcoming wedding functions and occasions. Team it with ethnic accessories to make your looks more beautiful. Grab this dress before someone else gets it and wear it.